ClassLink provides OneClick, which enables single sign-on (SSO) access to web and Windows applications, and instant access to files at school and in the cloud. Accessible from any computer, tablet or smartphone, ClassLink is ideal for 1:1 and Bring Your Own Device (BYOD) initiatives, which Cooperstown Central School District is a part of. 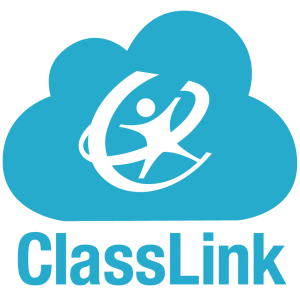 ClassLink connects many district software and cloud accounts to one interface, which also stores usernames and passwords. This means no more needing to remember them, write them down, or access multiple lists around the buildings. ClassLink uses your network credentials, which is the same login you use to login to district computers, Chromebooks (students), BYOD WiFi, PowerSchool, … Your username is your email address without the domain name (don’t include @ccsmail.org or @cooperstowncs.org) and your password is the same as your email password. All district staff and students are automatically enrolled in ClassLink, which can be used both on and off campus. You can also access your District network files via ClassLink, both on and off campus! For more information, check out the additional helpful resources to the left. The “Staff Resources” page has been replaced with ClassLink! If you have any questions pertaining to ClassLink, please let Elliot know. In addition, if you have web logins or services that you or your students use, please let Elliot know and he will work with ClassLink to get a connector or link made and pushed out. If you have user accounts already set up, even if generic, we can upload those as well – just let us know what students and/or grades will be using it. We have the ability to restrict it to student/staff, building, grade, or particular individuals.